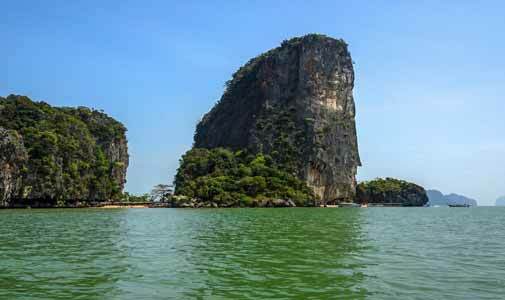 Thailand’s enviable coastline measures 3,219 kilometres. So, where is Thailand? It’s situated in a central position in the Southeast Asia continent. Laos sits to the northeast, Myanmar (Burma) to the north and west, Cambodia is situated to the southeast and the far south is where the Gulf of Thailand meets Malaysia and the Malay Peninsula. The Andaman Sea and the Indian Ocean are found off the western shores of mainland Thailand, while the Gulf of Thailand laps against the eastern seaboard and Gulf islands, for which millions of international travellers visit each year. The Kingdom of Thailand’s coastline measures 3,219 kilometres and the country occupies a geographical land mass of approximately 510,000 square kilometres, making it the 51st largest nation in the world, about the same size as Spain. Having called Thailand home for the last three years, it is my perspective that Thailand lies at the heart of Southeast Asia. Given that central location, my wife Vivien and I have found it so easy to travel to its neighbouring countries. A train ride south along the Thai-Malay Peninsula takes you into Malaysia—a trip we did in early 2018. Venture right through Malaysia and your train will have you disembarking in the island state of Singapore. There are road connections from Thailand to Cambodia (and onto Vietnam) in the east; Laos or China from the northern Thai borders; and into Myanmar (Burma) to west and north-western Thailand. The rail network within Thailand allows for ease of travel to any of the six major regions. Jump on a plane from any of a dozen international airports across Thailand and you can be anywhere else in Asia within a few hours. Looking outside Asia, Australia, for example, is only a nine-hour, direct flight away. A unified Thai kingdom was established in the mid-14th century. Known as Siam until 1939, Thailand is the only Southeast Asian country never to have been colonised by a European power. A bloodless revolution in 1932 led to the establishment of a constitutional monarchy, which remains to this day. With a population of approximately 68.5 million people, it is the 20th most populated country in the world, just topping countries like France, the United Kingdom and Italy. The currency of Thailand is the baht (THB) and the people of Thailand are referred to as Thai. 95% of Thai people identify as Buddhists. Thai is the national language, with English now starting to be taught in schools. 95% of Thai people identify as Buddhists. The kingdom has Bangkok as the nation’s capital. The metropolis is the country’s political, industrial and economic centre. It is easily the largest and most populated city in Thailand, with well over 8 million citizens. Bangkok nestles in the country’s central plains in the Chao Phraya River delta, which in turn flows into the Gulf of Thailand. Government organisations like the Tourism Authority of Thailand (TAT) and the Thai Meteorological Department, along with geographical and scientific sectors, divide the country into six regions. Northern Thailand—Geographically characterised by several mountain ranges, which continue from Myanmar in the west to Laos in the northeast. Its relatively high elevation and latitude contribute to more pronounced seasonal temperature variation, with colder winters than the other regions. Historically, it is related to the ancient Lanna Kingdom and its history, culture and distinct cuisine. The provinces of Mae Hong Son, Chiang Mai and Chiang Rai fall within this northern region. Northeastern Thailand—This region is often referred to as Isan and covers 160,000 square kilometres, making it about half the size of Germany. The Phetchabun Mountains denotes the western boundary of this region, with the Khorat Plateau coinciding with the natural limits of Isan. The Mekong River marks the northern and eastern borders of Thailand with Laos and Cambodia respectively. Major cities in the region include Udon Thai, Khon Kaen, Nakhon Ratchasima, Sakon Nakhon and Ubon Ratchathani. Phetchabun Province is lush with greenery. Central Thailand—This region covers the broad alluvial plain of the Chao Phraya River. It is separated from northeast Thailand (Isan) by the Phetchabun mountain range. The Tenasserim Hills separate it from Myanmar to the west. The Gulf of Thailand just below Bangkok is its southern border. This area was the heartland of ancient Siam, with the now UNESCO World Heritage listed cities of Ayutthaya and Sukhothai within these central plains. Central Thailand also contains the Thai capital, Bangkok, and is the most populated region in the country. Eastern Thailand—The region of Thailand bordering Cambodia on the east, north-eastern Thailand in the north and central Thailand on the west. Influences of the ancient Khmer kingdom can still be found within this region. 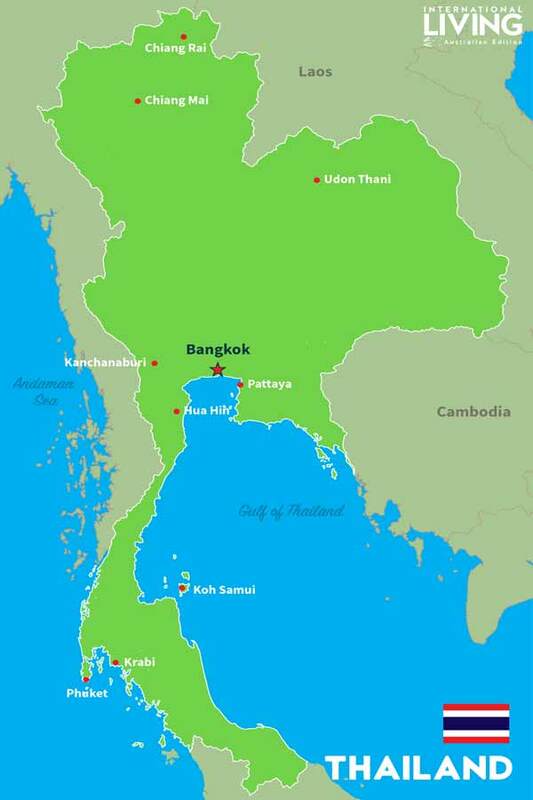 This region also borders the Gulf of Thailand to the south and southwest. Pattaya, one of the most visited international Thai tourist destinations, sits within this region. Islands off eastern Thailand’s coast include Ko Sichang, Ko Lan, Ko Samet and Ko Chang. Southern Thailand—This region encapsulates the Thai-Malay Peninsula, bounded with the Kra Isthmus, the narrowest part of the peninsula. The western part, with its steep ranges, has Myanmar (Burma) as its western border. As you come south, the Andaman Sea laps the coastline of the west. Thailand’s biggest island, Phuket, is located off the southwest coast. The east coast has the Gulf of Thailand lapping its shores and the tourist-friendly islands of Ko Samui, Ko Phangan and Ko Tao within easy reach. 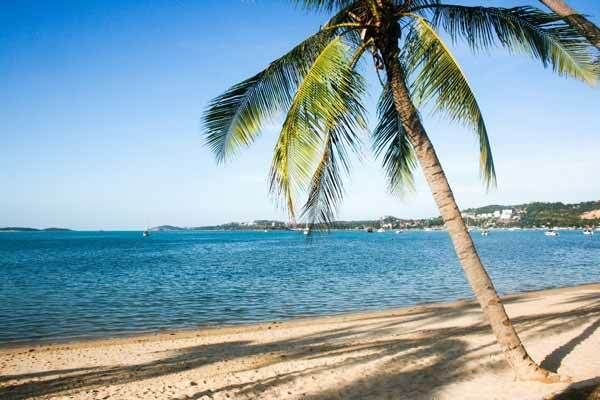 Pristine islands like Ko Samui are a major part of Thailand’s tourism industry. Western Thailand—This is a region of Thailand bordering Myanmar on the west, southern Thailand on the south and central Thailand on the east. It includes the area of Kanchanaburi to the west, where Hellfire Pass” and the Bridge on the River Kwai can be found. 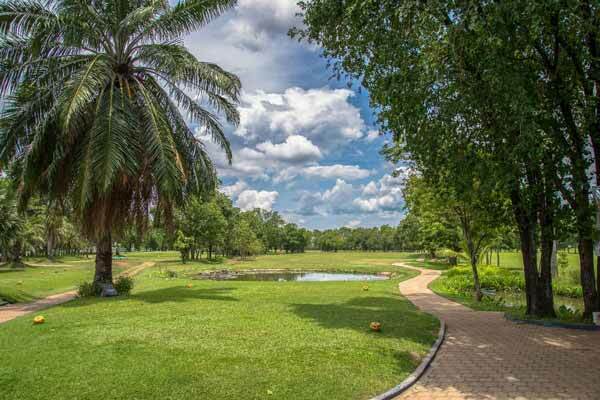 The northern gulf coastal regions include the provinces of Phetchaburi and greater Hua Hin (Prachuab Kiri Khan) where Vivien and I, plus many other expats, call home. 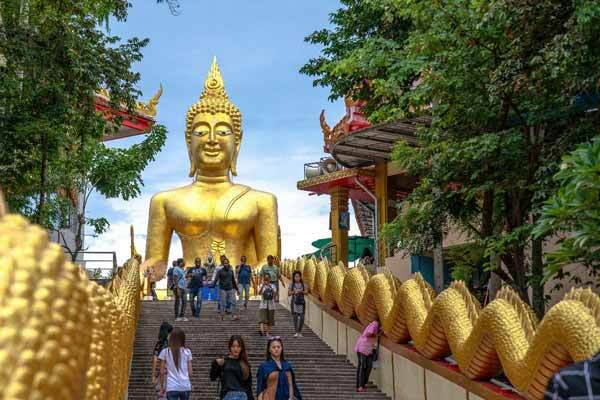 With more than 35 million international tourists annually, Thailand is undoubtedly a highly attractive place to visit. Its regional and geographic diversity is definitely one of the reasons for this, along with its ancient culture and one of the world’s most favoured cuisines. What’s not to like?